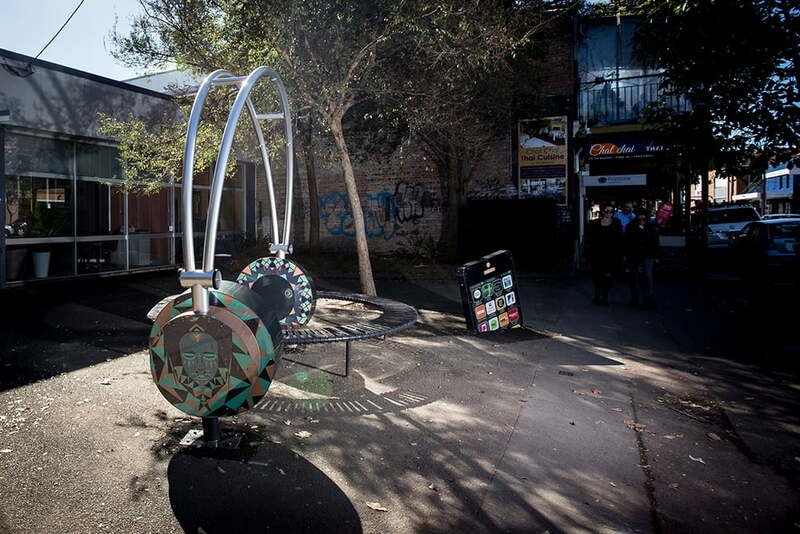 MUD created a stunning interactive street sculpture and hub for live music performance. 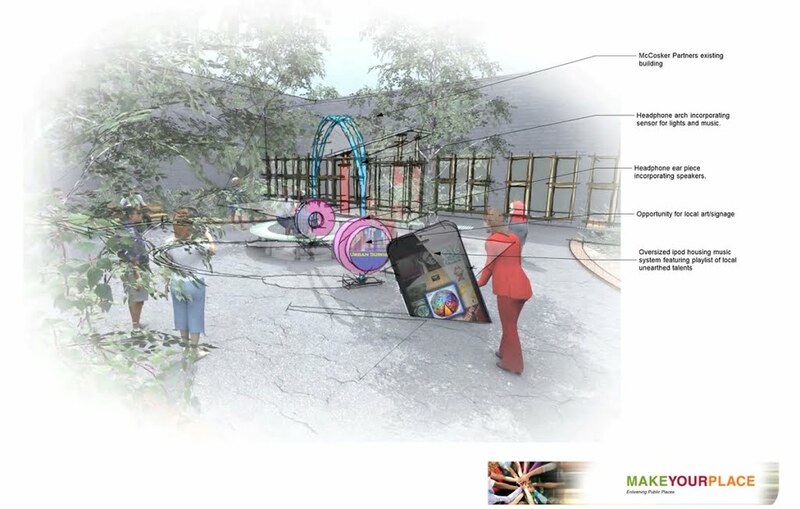 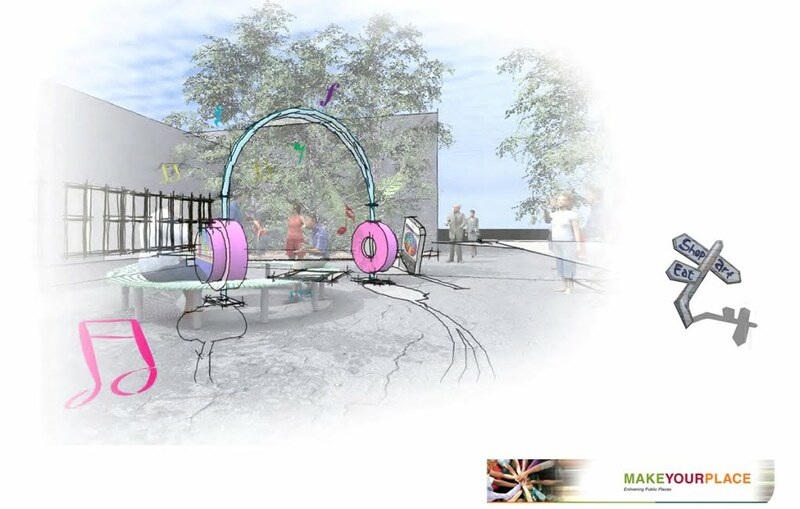 In the process transforming a delinquent street space into an engaging community place that has won the heart of the local community and become a destination for art and music lovers. 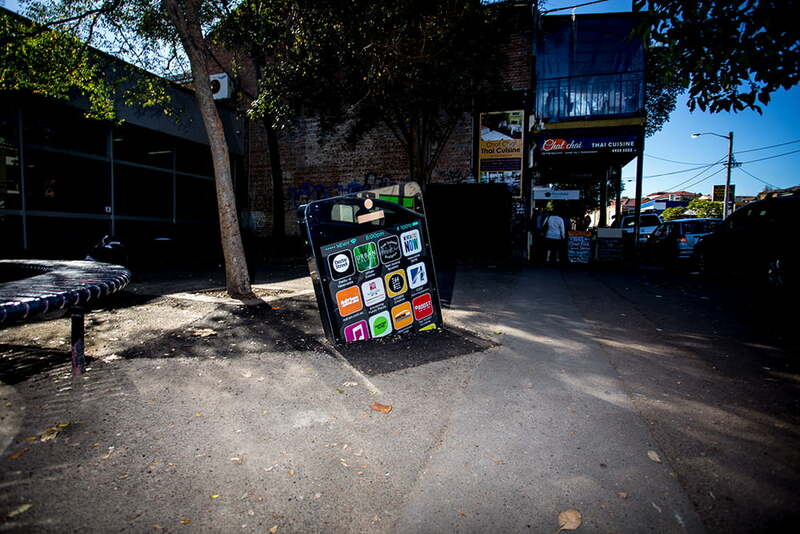 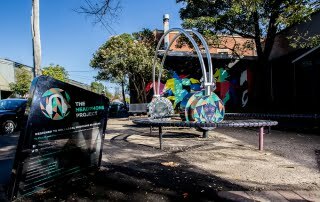 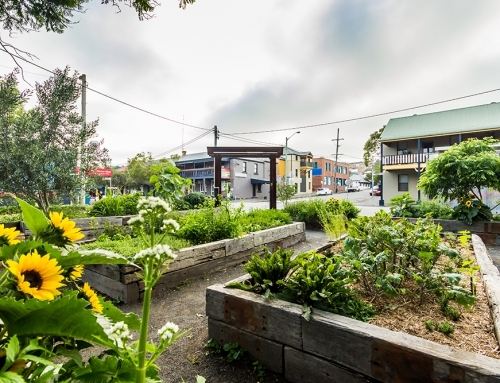 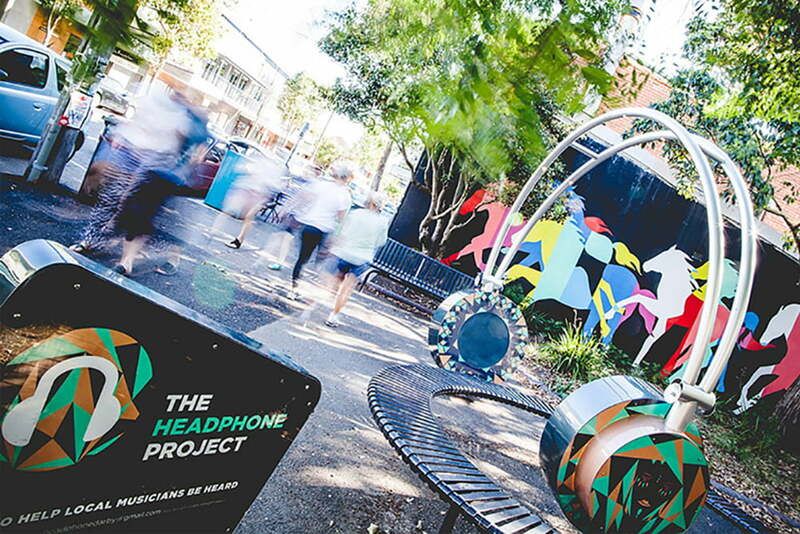 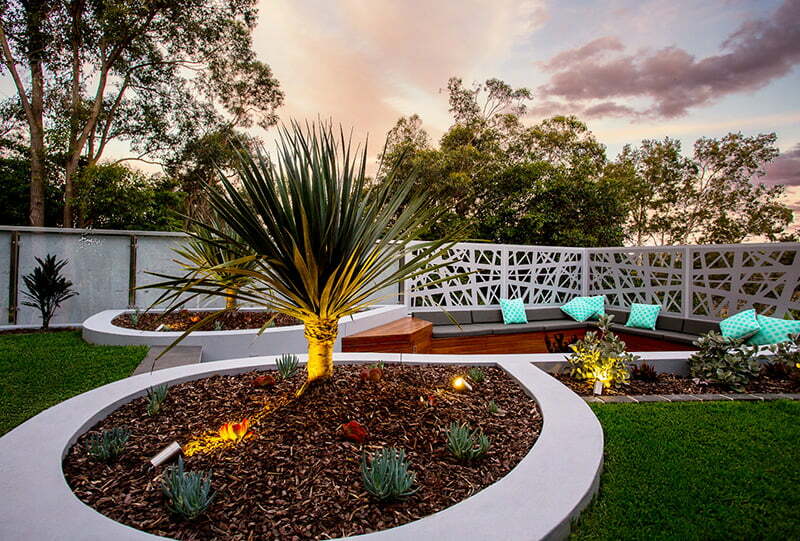 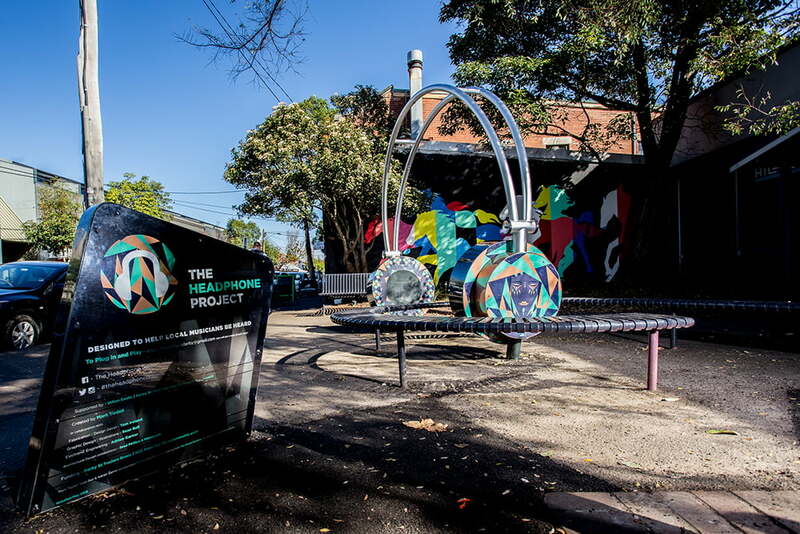 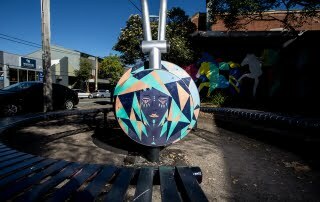 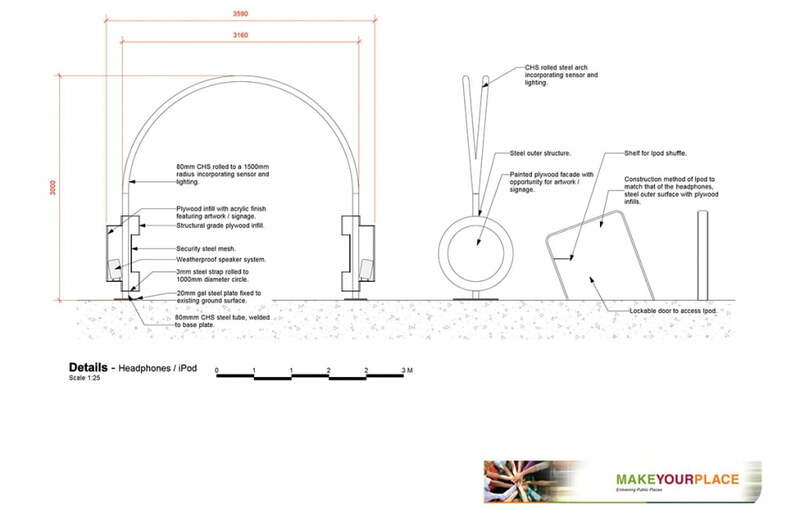 MUD designed and project managed the installation of a the three-metre high set of headphones that light up the McCosker garden in Darby Street. 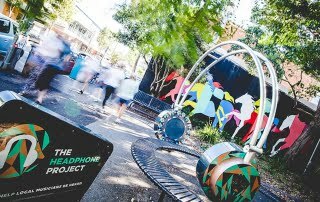 People passing by trigger tunes from a rotating music playlist or use Bluetooth functionality to play their music. Musicians can plug into the audio equipment for street performances. 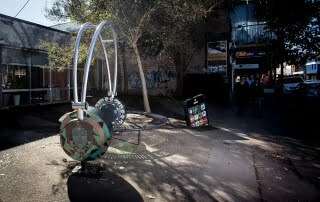 A collaboration between a variety of stakeholders including sculpture artist Thomas Ireland, graphic designer Sean Bell, and electrical engineer Adrian Garner. 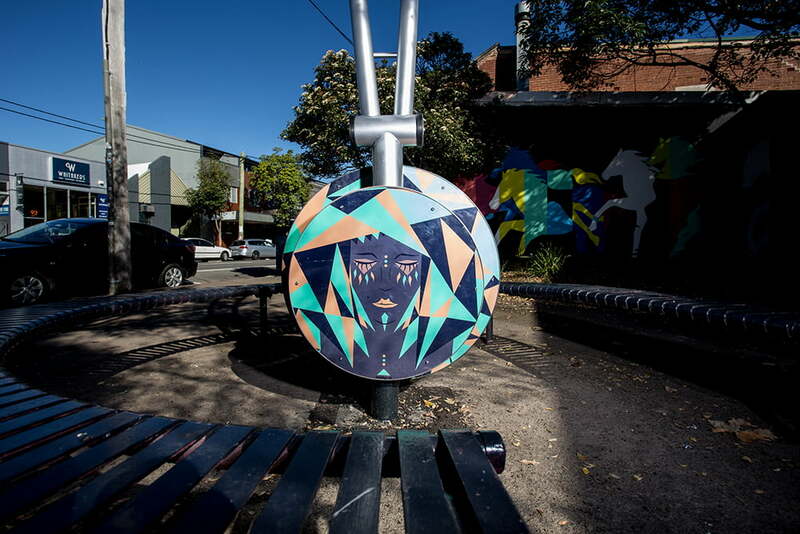 The project was supported by Newcastle NOW, Jobfind, the Darby Street Traders and local businesses, and Newcastle City Council who provided a Make Your Place Community Grant. 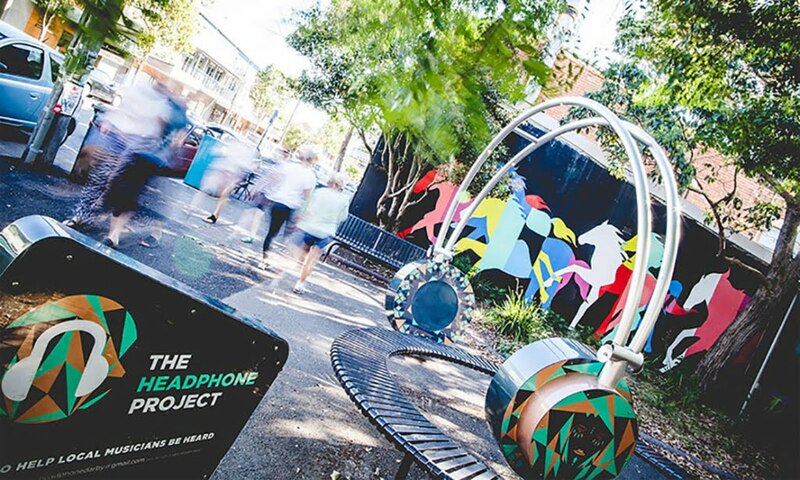 A diverse and exciting schedule of performances is on offer at The Headphone Project. 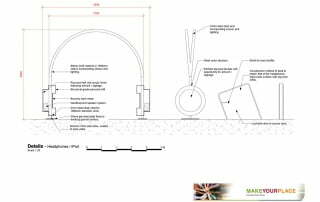 For details take a look at the Facebook page here.